But it shouldn’t stop there, and here’s why. For starters, you haven’t solved your problem yet. You still know that the individuals you are responsible for are working every day without really understanding the hazards they are facing. Sure, they could use the “table method” but it’s not an exact science and there is no guarantee that everyone is following it correctly. You need a way to know for certain what the arc flash levels are at every location on your electrical system. It’s time to have an incident energy analysis completed. But what is incident energy? Well… it’s really just a measurement of thermal energy (heat) that is present during an arc flash event. It's the amount of energy that comes in contact with a person's skin, and it burns. Incident energy is measured in calories per centimeter squared (cal/cm2). I heard a story once that the united states army conducted testing to determine the survivable level of exposure to heat energy from an explosion. What they determined was that most humans will likely survive a burn resulting from 1.2cal/cm2 of thermal energy. There are two key words in this statement... "likely" is the first and “survive” is the second... that doesn't sound very promising. Anyone exposed to such a hazard will have received 2nd-degree burns on their entire body, so if they survive they will probably wish they didn’t. Now that we understand incident energy, we can jump right into what an incident energy analysis is. It sounds like a fancy term but really you are just calculating the cal/cm2 at each location where someone might perform work. After that, you are simply posting labels on each piece of equipment with the appropriate information. OK… what can I expect for incident energy levels at my facility? Unless you have built your facility with arc flash in mind and specified that you wanted to have the latest and greatest engineering practices utilized to reduce arc flash levels then I would guess that your levels are high. At least as high as 1.2, but probably 4, 8, 25 and 40+ levels exist all over your site. The only way to know for sure is to have the calculations completed. The first step to the analysis is data collection. Depending on the strength of your record-keeping system this step can take a lot of time…but it’s important. With any modeling software this statement holds true... garbage in equals garbage out, so if you do not allow the time to collect the data (and do it right) then the numbers the model comes up with will not be correct. Once all the data has been collected (relay settings, breaker settings, fuse sizes, etc.) then it’s time to model your facilities electrical system in the software and start punching that data into it. Again, this takes time and needs to be done correctly. Next step is the labels. Up until now we have really only focused on the incident energy level, and rightly so, but the labels will provide much more information. They will list all the shock hazard information (voltage, and approach boundaries), as well as the rest of the relevant arc flash information (working distance, and boundary). This is crucial information for completing a pre-job hazard analysis, where you try to account for all the possible hazards and risks associated with the job. Once the calculations are complete and the labels are on then the guessing game is over. 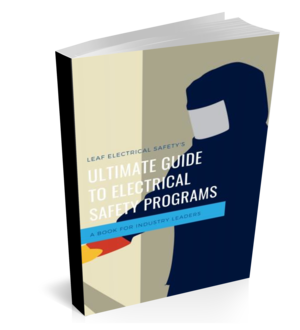 Every qualified electrical worker will be able to see the available energy at every piece of equipment and select the appropriate PPE for the job (provided they have the proper training). Perfect. Mission accomplished and well worth the cost!